At the end of last week’s blog post I ended the penultimate sentence with “…there are plenty of single-family homes being built or being drastically remodeled throughout the city.” Reader Adrian noted that although there are plenty of single-family homes being rebuilt throughout the city, the number of new single-family homes being added to our existing supply is close to zero. He’s right in that, largely because within the city limits there is very little open land upon which single-family homes can be economically built. 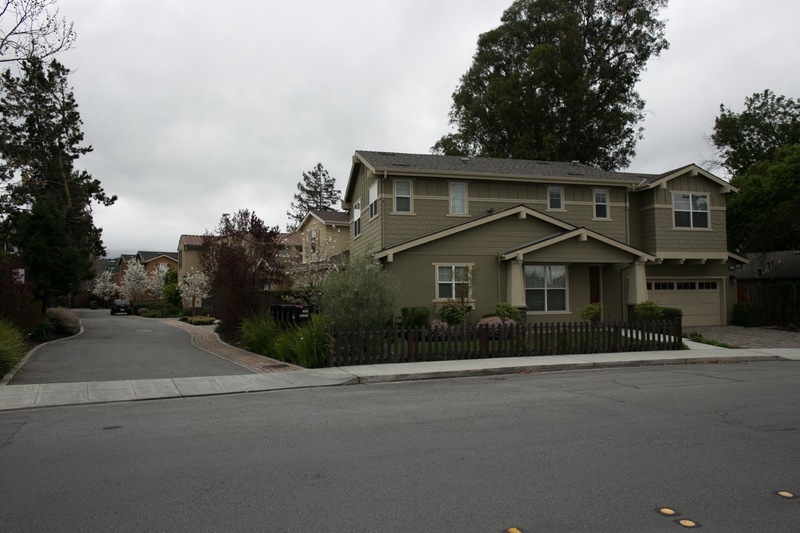 On the open land that does exist, such as the parcel out on Maple Street east of Highway 101, developers are instead choosing to build multi-family developments consisting of townhomes. The higher density you get from a townhouse development makes more sense for some areas of the city, especially those close to transit (like the 33 units that are being built on El Camino Real at Hopkins Avenue). Prior to the construction of this rather large house, the lot held a single-story, 1,440 square-foot home that featured three bedrooms and two bathrooms. The original home was built in 1925, and probably needed to be updated (although I seem to recall seeing various remodeling projects being done on that home over the years). But the above is no remodel: the home was completely torn down and the foundation was ripped up, after which the 8,255-square-foot parcel was re-graded and construction of the home you see pictured above got underway. Projects like these are what I was thinking of when I wrapped up last week’s post on multi-family developments. However, Adrian’s response to that post got me thinking about places where additional single-family homes really were being built within the Redwood City limits. I didn’t come up with a lot of examples, but I did manage to think of a few. As I noted earlier, although there is very little open land upon which to build new single-family homes, there have been, and still are, a number of parcels with a single home on them that are large enough for subdividing. Because the property was so deep, a new road, Lauren Lane, was built to provide access to the four homes that are arrayed behind the one home in this development that fronts onto Valota Road. 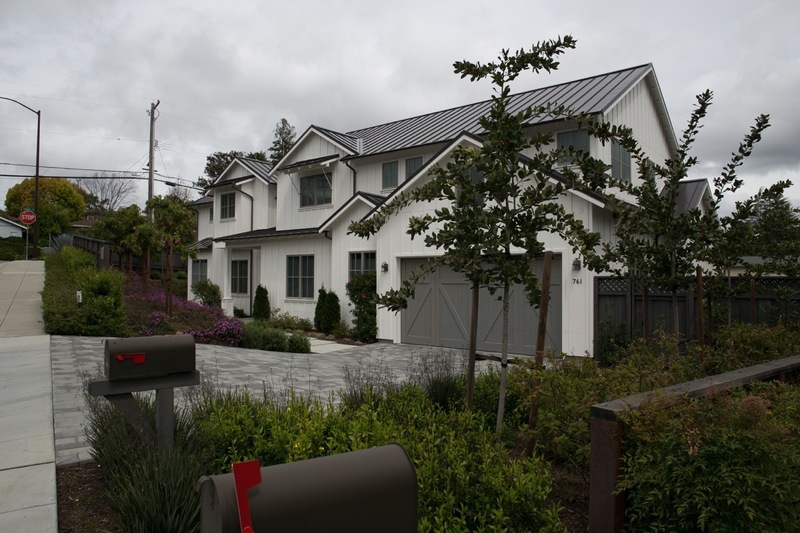 Because one home was torn down and five were built in its place, this particular project resulted in a net addition of four new single-family homes, all within the Redwood City limits. It may not look all that big, but don’t let appearances fool you. The house is actually quite deep. Like the other, this home is also 4,000 square feet, and has five bedrooms to go with its four bathrooms. So again, this is an instance where a one single-family home was torn down to make way for four new ones, a net addition of three. The developer seems to have done a pretty good job of retaining some of the mature trees that have clearly been growing in this area for years. Here, too, the homes vary in style (note the one with the round tower feature on the left), helping to reduce the feeling that they were all built as part of a single development. Although I’m pretty sure that Liberty Hall Lane is a private road, and that the homeowners all belong to a road association to keep that road maintained, so each of the eight the homeowners will always have that small reminder, at least, that their home was indeed part of a planned subdivision. This home, which is located just a couple of parcels beyond the Bonfare Shopping Center up Oak Knoll Drive, is also hard to see thanks to the thick trees that hide it from the street. From what I can tell the house is in terrible shape and is a complete tear-down. But it sits on a remarkably large (for the area) .91-acre lot, and the current owner has plans to tear down the house, subdivide the lot, and build three new single-family homes on the parcel. The above picture is very recent (but the property hasn’t really changed in months; I don’t believe it is currently occupied). In mid-February the owner (who appears to be a contractor) went before the Historic Resources Advisory Committee to make sure that this house, which was built in 1920, is historically significant. 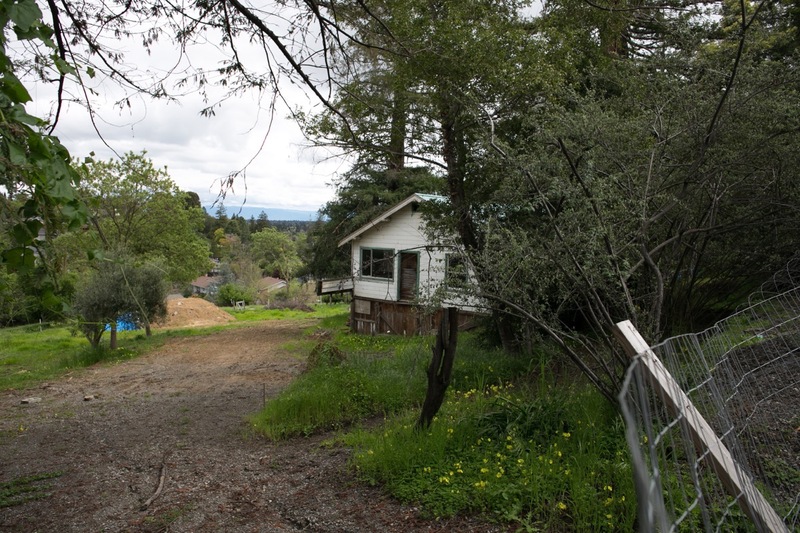 Assuming that it isn’t, he will request permission to subdivide and then develop the property. Assuming it is, this will be yet another net addition to Redwood City’s stock of single-family homes — although it will of course be a very small net addition. The above are just the developments I can think of off the top of my head, developments that came about since I began this blog (and that lie within the city limits; I know of at least three more that fall just outside those limits). I’m probably missing some, though, and I expect that there will be a couple of more of these over the next several years as homeowners with very large properties decide to sell and as developers get wind of those properties. But I will be the first to admit that although these have all resulted in a net addition of detached, single-family homes to Redwood City, that addition is a very small one. If I’ve done my math right, the above projects resulted in a total of 17 net new homes, which compared to the approximately 15,000 single-family detached homes that existed prior to them, is just a drop in the bucket. 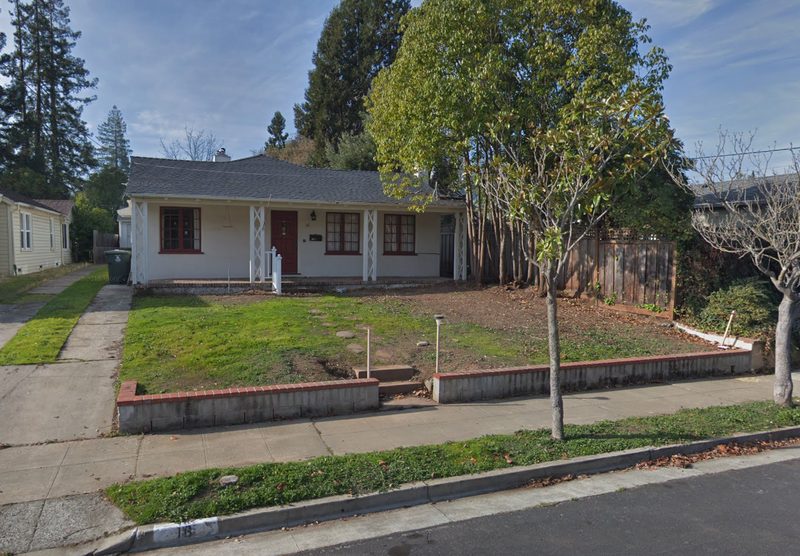 A new house plus in-law unit will be built soon on the forever-vacant lot on the uphill side of Alameda between Hopkins and Brewster. Thanks for heads-up. I’ll go by tomorrow and take some “before” pictures. I for one am excited to see more housing built in Redwood City. Single family homes may not be the most efficient use, but subdiving large lots to create a handful of new SFHi something I can agree with. 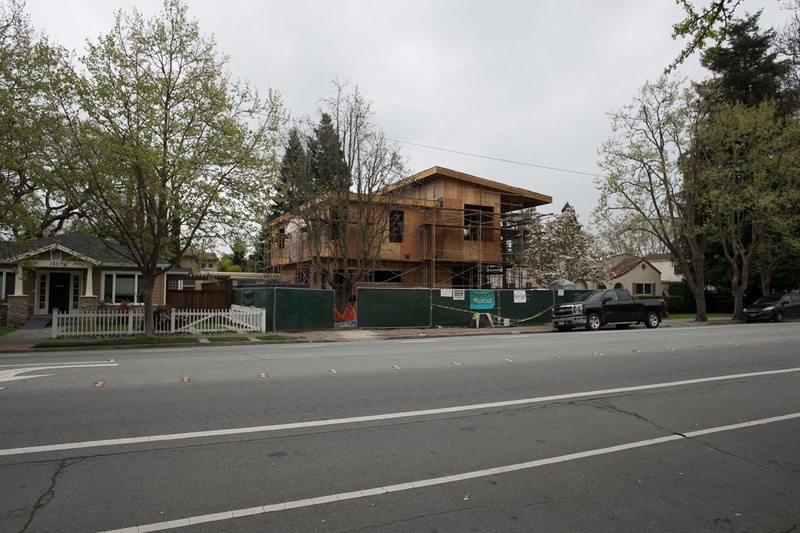 Egads, that house on Hillview is the poster child for RWC’s loose zoning. Is it any surprise that it’s a developer looking to turn a quick profit. 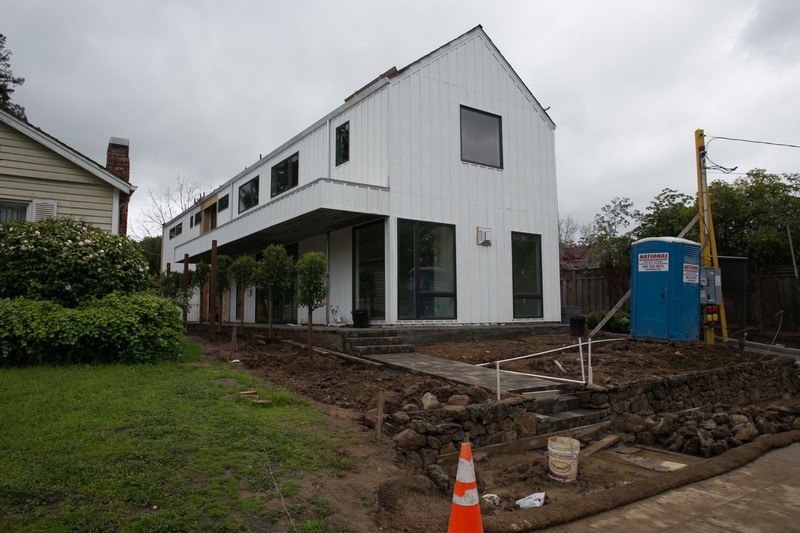 In response to some of these excessive homes, our City is embarking upon a process to create design standards and guidelines that include the revisiting of our ADU ordinance that allows a 28″ tall building that is 5′ from the property. I’ll be very interested to see what guidelines the city comes up with in order to preserve neighborhood character without unduly squashing homeowner’s rights. They’ll be walking a tightrope there. As for the ADU ordinances, that seems to be a slightly easier issue to tackle. 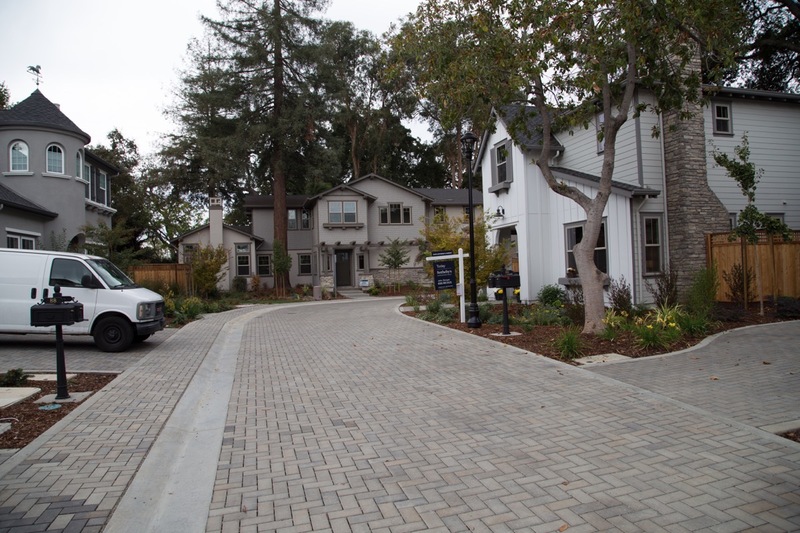 Burlingame has had a Residential Design Guidebook for many years and it has done absolutely nothing to curtail large homes or squash homeowner’s rights. But what it has done is reign in the profit-driven developer spec homes that have no regard for the neighborhood. I have seen Amish barns with more charm, character and attention to detail than that dreadful house on Hillview. In most other peninsula cities, that project would have never seen the light of day. The Planning Dept would have sent the developer back to the drawing board. Redwood City is the developer’s cheap date on the peninsula and it shows. 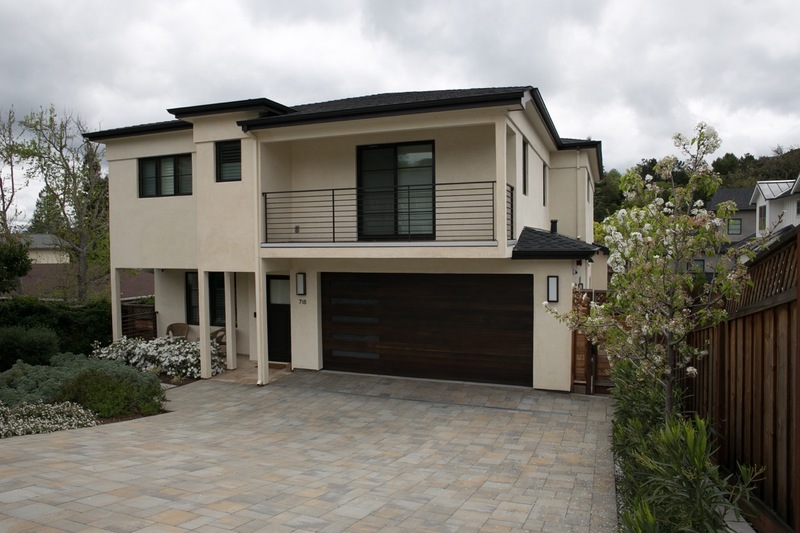 I find the modern house fronting canyon rd to be a lot less appealing, to each their own. There are so many remodeled homes in Redwood City of questionable design, particularly in the Woodside Plaza area. I want to ask some people who their architect was so that I could be sure to NOT use them. I don’t have all of the data, unfortunately, but it would be fascinating to compare the designs of owner-occupied major remodels (or complete tear downs) with ones done solely to flip a house. I would guess that people remodeling their own homes, that they intend to continue living in, would, on average, tend to use much more conservative designs that better fit within the neighborhood (after all, they have to continue living with those neighbors!). Of course, there is no accounting for taste, so in any given situation the outcome could still be great or could be horrible (in the eye of the beholder) but if I had to guess, I’d say that the majority of the really poor designs would be home flips. We’ve had a handful of larger lots recently subdivided here in the Sequoia/Selby tract…of course we’re technically county. I know of at least one lot nearby that they’ve applied to subdivide so there will be more. 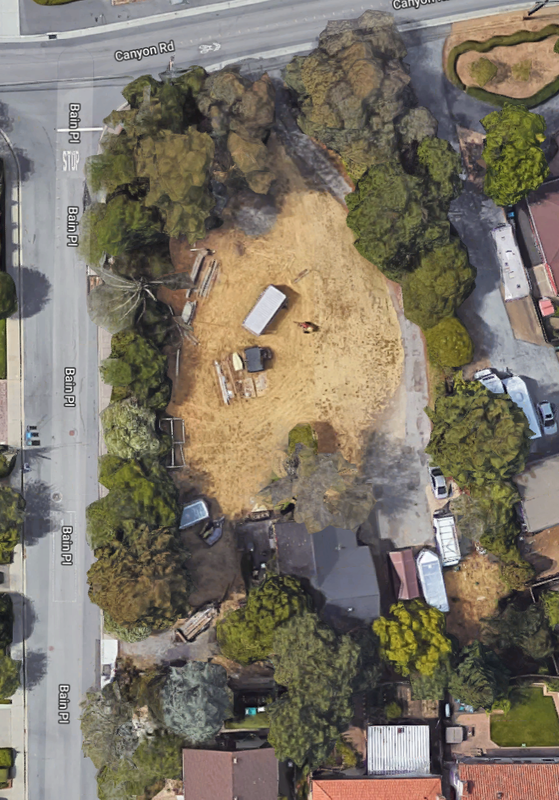 Lots of tear downs as well…but that’s pretty much happening everywhere in San Mateo county. Indeed, it seems to be happening everywhere. Which is no real surprise, of course. I need to wander through your area more. It seems to be a nice place, from what I’ve seen. Like a lot of county areas it can be pretty eclectic, but we like it! For the most part I don’t mind the larger lots being subdivided as we already have a huge range of lots sizes in the neighborhood (2,500 to 1/3 acre +)…but one of the lots used to be empty and had sheep/livestock…which was charming. Oh well, at least the new homes that replaced it look pretty nice, albeit probably pricey. I did notice almost a whole block of the retail properties along Woodside Rd near us recently traded hands…I wouldn’t be surprised if they got redeveloped. Indeed, it seems to be happening everywhere. Which is no surprise, of course. I need to walk through your neighborhood more. It seems like a nice place, from what I’ve seen. What we’re seeing in our neighborhood is new 2-story garages with “in-law” units (probably not for the actual in-laws to live in). We’re getting one next door and one immediately behind those neighbors so the view from the rear of our house is going to change a lot. I’m not thrilled at being surrounded but maybe if enough of these are built it will ease the rental market a tiny bit.